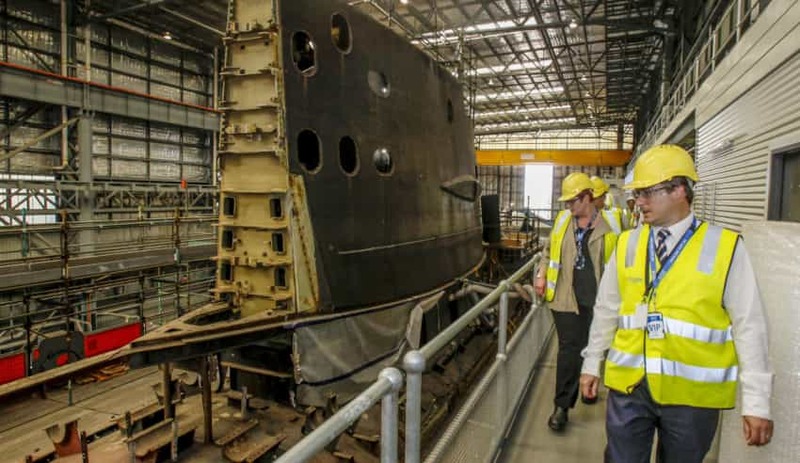 With the release of the Naval Shipbuilding Plan, the Turnbull government aims to avoid errors made in the past by the mining and energy sector in relation to loss of national workforce and skills. The document flagged the growing workforce it will need to meet demands of shipbuilding projects and noted the commodities sector, currently experiencing a downturn in employment, is one from which it hopes to gain some workers. "Workers with existing skills and qualifications relevant to the requirements of naval shipbuilding may be available from a range of sources: former shipbuilding workers; workers exiting adjacent industries experiencing downturn (such as the mining, energy and automotive manufacturing sectors)," the plan stated. "Many of these individuals already possess significant and relevant skills, and could be available for naval shipbuilding with appropriate upskilling or ‘bridging’ programs. "Workers from the mining and oil and gas sectors could be retrained to form part of the naval shipbuilding workforce. Skills from the mining industry and oil and gas industries are very compatible with naval shipbuilding. Many workers from these sectors have skilled trades or engineering backgrounds and possess skills which are highly transferable to naval shipbuilding. For example, sub-sea welding for an oil or gas platform and submarine welding both require high levels of precision to prevent catastrophic failures and loss of life, placing a premium on quality, reliability and safety." However, the plan stressed that the commodities sector is one with a history that provides learning opportunities. "Growing the naval shipbuilding workforce quickly to meet peak demands in the mid to late 2020s and sustaining the workforce for the long-term continuous build program will be a substantial challenge," the document said. "Experiences from other sectors of the Australian economy that have gone through rapid upswings in workforce demand – such as the mining and energy sector – provide salutary lessons." The shipbuilding blueprint also said one of the challenges facing adjacent industries and the nation's skills as a whole, is the risk of high wages luring workers away from one industry and creating a gap in skills and capabilities in another key area of the economy. The plan identified this as one of the biggest problems of the mining and energy boom, noting "considerable skill deficits were experienced, creating unproductive work processes and increasing cost[s]". How it hopes to avoid this problem, along with recruiting other workers remains vague beyond the following statement. "The government will implement a national communications strategy, a key element of which will be a naval shipbuilding career awareness program," the plan said. "This program will focus on secondary school students, to encourage school leavers to consider the naval shipbuilding sector as a career path. It will provide students an understanding of career prospects in the industry and the importance of this enterprise to Australia’s future. The school leavers’ career awareness program will be supplemented by a similar program directed at experienced workers, including those in adjacent industries such as automotive manufacturing, mining and oil and gas." South Australian government advocacy body Defence SA has also criticised the plan for being vague, claiming it "lacks detail".